Filled by food. Filled with hope. 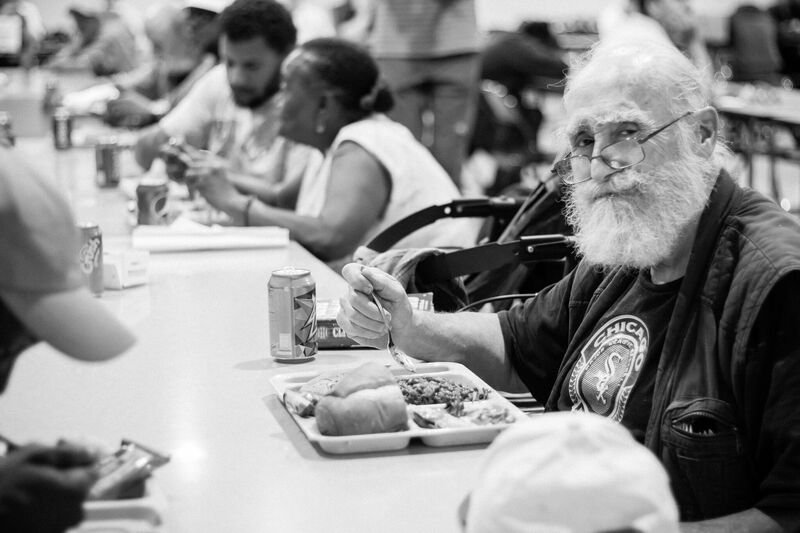 For the homeless, survival is day to day, which often means searching for the next meal. At the Mission, a hot, nutritious breakfast, lunch and dinner are offered free of charge every day for any hungry man, woman or child in the community. The Mission serves approximately 400 meals a day. Breakfast is served at 7 a.m., lunch at noon, and dinner at 6 p.m. following the 5:30 p.m. chapel service in the Great Room. 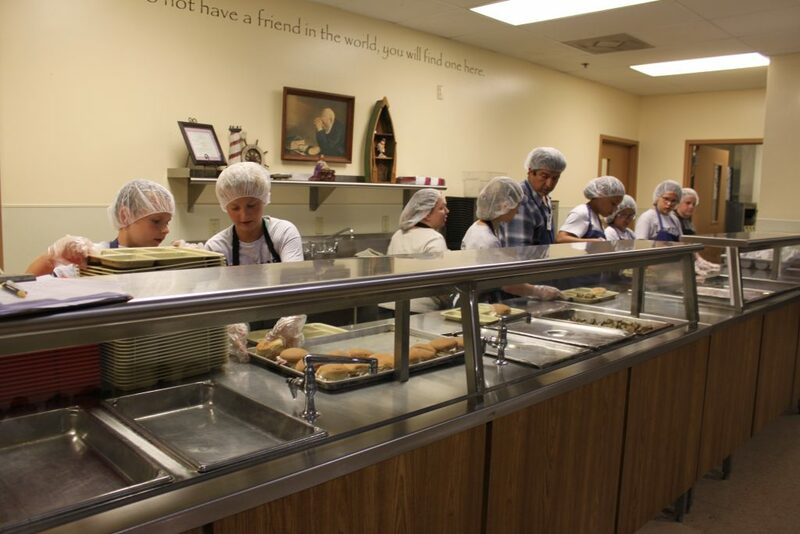 The Mission is located at 715 West State Street, and guests enter through the meal service doors on the Northeast corner of the Mission (off Rockton Avenue). Special holiday banquets are also provided at Thanksgiving and Christmas. Food donations may be brought to the Food Service entrance on the north side of the building. If you are interested in volunteering with Food Service, please contact our Volunteer Coordinator, volunteer@rockfordrescuemission.org, or call (815) 965-5332, ext. 151.